next up from the China Glaze Rebel collection is Teen Spirit! (press sample, kindly provided to me for review). of course, with that name, all i can think of is Nirvana! 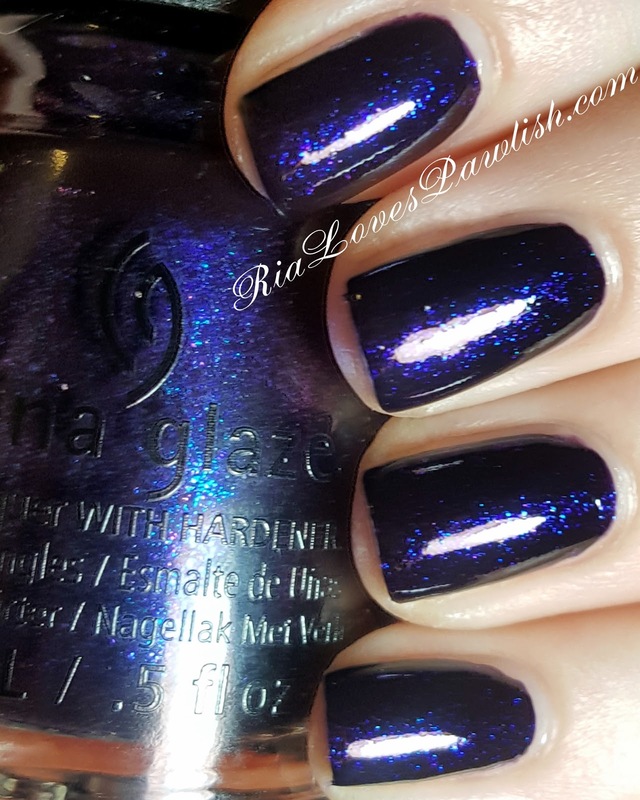 (Smells Like Teen Spirit...) it's a dark navy blue shot through with blue and purple shimmers. the purple ones are harder to see, they come out most in low light for some reason. it's quite opaque and only needs one coat for full opacity, but with all the shimmers i feel it looks better/smoother with two coats. it dries down pretty dull, i definitely think you'll want to add a high shine topcoat with this one... otherwise you're going to miss out on all this beauty has to offer! two coats Teen Spirit, finished off with one coat FingerPaints Fast Dry Top Coat. China Glaze Rebel... Y'all Red-Y For This?